The Irish Government has expressed concerns that the UK won't manage to deliver a solution to the Northern Ireland border issue in time for a crunch EU summit this week. Dublin's Foreign Affairs Minister and Tanaiste Simon Coveney is meeting with lead negotiator Michel Barnier in Brussels today, where he'll be briefed on the progress so far. The UK is not expected to give a detailed breakdown on how best to solve the border issue, but it must convince the EU and Ireland that it is "meaningfully engaging" in the matter, according to Irish sources. All EU heads of state are meeting on Thursday and Friday when the transitional agreement is due to be signed. The transitional agreement deals with the conditions in which the UK can remain part of the single market and customs union from March 2019, when Brexit happens, until December 2020. It makes up part of the overall withdrawal agreement in which the Irish protocol - the part dealing with the Irish border - is also contained. 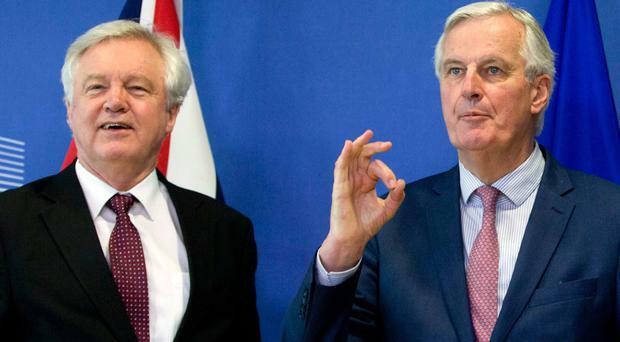 Mr Barnier has said the Irish border is of equal importance to all other Brexit priorities. He warned if Westminster fails to arrive at a solution which will protect the integrity of the border, as well as the EU's single market, then the passing of the transitional agreement will be in jeopardy. The Irish Government will demand that the border issue is being satisfactorily addressed before it agrees to the transitional agreement, which requires unanimous consent by all member states. "We're not going to let them agree on everything except the Irish protocol," said one Irish source. Meanwhile, British Foreign Secretary Boris Johnson said yesterday that proposals to delay Britain's departure from the EU are not necessary. "We're making great progress, on money, on borders and laws you're seeing a fulfilment of the pledge to take back control," he told the BBC. "What most people want us to do, whether they voted leave or remain, is to get on with it," he said. Dublin will reiterate there can be "no backsliding" on the agreement made by the EU and UK in December, which committed Britain to keeping EU rules and regulations in order to prevent the need for hard border checks. Meanwhile, Taoiseach Leo Varadkar is to meet with German Chancellor Angela Merkel in Berlin, where Irish anxieties over Brexit will be central to the discussions.